In order to build a successful company today, it’s all about developing a brand that your customers trust. There are many tools and social media platforms you can choose when you are working on brand awareness. It depends on your business which social media platforms you should be focusing on in the beginning. Most small and medium sized companies don’t have the resources to compete on every platform. It’s better to have a strong presence on one platform than to do a bad job on several. No matter how companies build brand awareness there is one common thing that all of them should do: Analyse website data. If your company is on the internet (and of course it is) then you’ll need to collect data from all the platforms you are on. Google Analytics is the most common tool when it comes to collecting data for your website. The best part of Google Analytics is that it’s free. It will take you less than 15 minutes to set up Google Analytics on your website and to collect data. The hard part is analysing the data you collect. Especially if you want to understand if your brand awareness is increasing the traffic to your website. Even if you haven’t used your data to build a better brand, then it’s important that you have the data from the beginning. Always start a new website by setting up Google Analytics and if you have an online store remember to include (Enhanced) Ecommerce Tracking so you can track your sales. It doesn’t matter if you’re working with Google ads, brand awareness or website optimisation. If you don’t use data you are guessing – don’t be that company. Let’s make it clear: Google Analytics is not a brand awareness tool, but it collects data, which you can use to increase the performance of your business. It can be tricky to understand which keywords visitors are using to find your company through search engines. Most of the data will say “Not provided”, but nevertheless it gives your company critical knowledge on how people are finding your website or online store. By studying the keywords you will get a better understanding of which keywords people are using to find your website or online store. If your brand awareness is working you should experience an increase in direct visitors. But that doesn’t mean that brand awareness will decrease the amount of visitors coming from search engines. Try to improve everywhere ang get the most from side effects. Basing a blog post on a search term you found in Analytics can give you a stronger present in that kind of searches. At the same time sharing the blog post will give you more visitors from social channels and you can get quality backlinks when readers share and write about your post. This will strengthen your SEO and in turn bring more visitors. It’s essential to know which pages people visit on your website. Normally it would be your home page. If your company is building a strong brand, it would make sense that there would be an increase in visitors to your website and definitely an increase on your home page. You can check your landing pages in Google Analytics if you go to Behavior and then choose site content and Landing pages. Now you’ll get a long list of all your landing pages. This way you can determine if people are finding the right landing pages. The data will help you optimize your site. Hire an outside company to handle your data. Use a tool for building reports in Google Analytics. The first two are pretty straight forward and can cost you a lot of money which may not always be the best solution for smaller companies. In the third option everyone can create beautiful reports and analyse website data with a few clicks with a tool like Mimer Metrics. 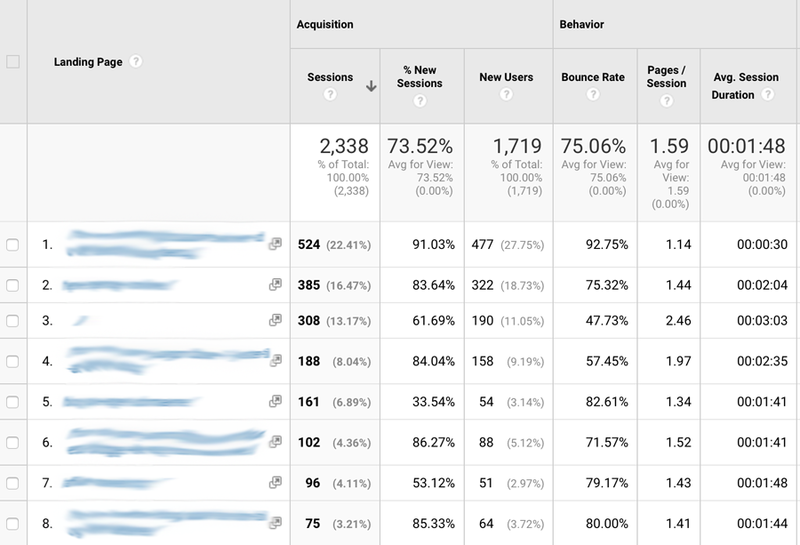 We made Mimer Metrics to make you Google Analytics experience easier. 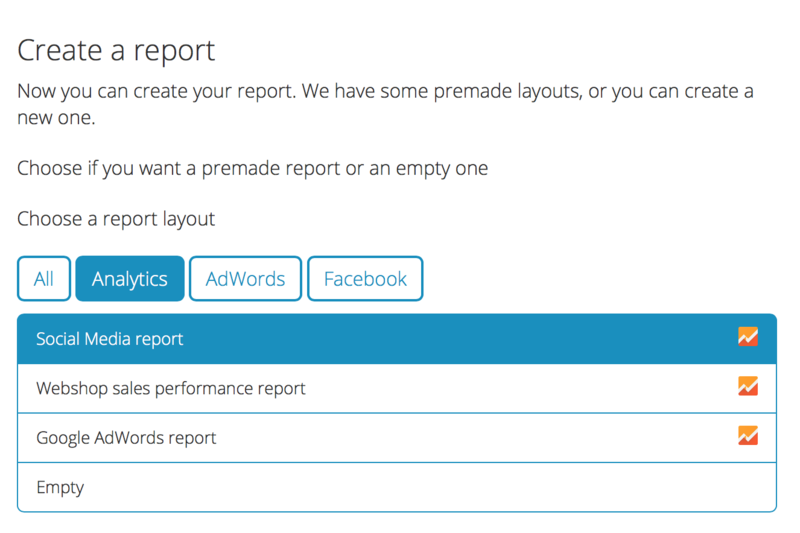 You can create dashboards and reports with a few clicks. Here you can view all the different dashboards you can set up in Mimer Metrics. 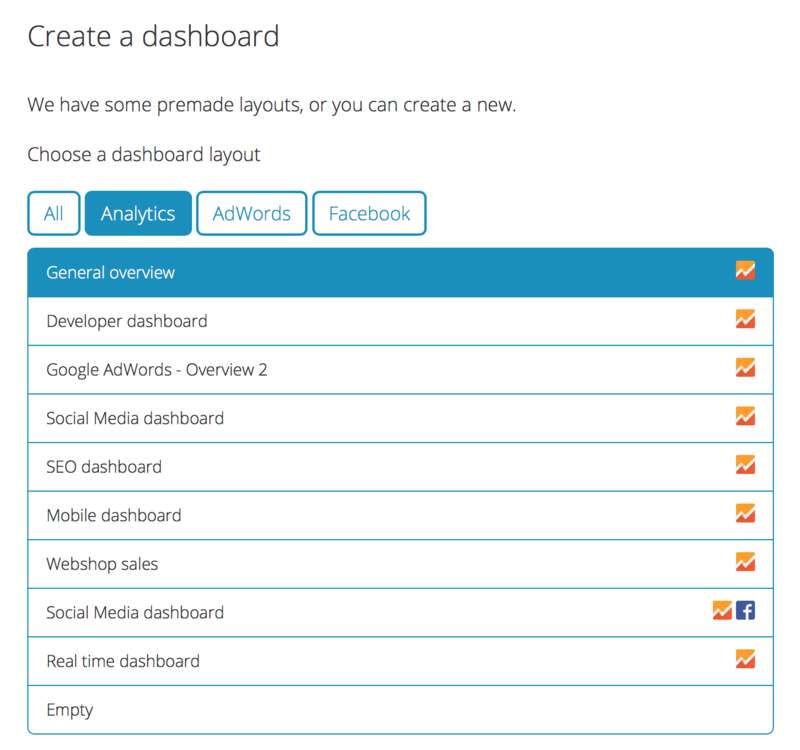 You can create as many dashboards as you want and it’s all created with a single click. From there you can customise to your needs. You can also create Google Analytics reports with one single click. This report can automatically be send every week to everyone working on your brand or website. If you want to know if you need a tool like Mimer Metrics you only have to think about how you’re using your Google Analytics data today. If you don’t know what to look for in Google Analytics or if you are spending too much time creating reports, you can get a 14 days free trial here. Promise us that you from this day on will analyse the data from Google Analytics. It’s an important tool if you want to improve your company.